Searching for a Learning Management System (LMS)? The right LMS platform can help you deploy your online training more efficiently and easily. Choosing the right LMS requires a significant investment of time and money. If you take time to explore the LMS thoroughly, you’ll be able to align your investments with your desired returns. Still, how do you know, which is the best fit for your organization? Here are few questions to ask when debating between self-hosted and cloud LMS. 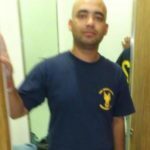 What’s your budget for the LMS? Each hosting solution comes with its own set of features and pricing considerations. Once you know your budget, it would become easy for you to narrow down your choices and know what features you can afford. A realistic budget must also include licensing cost, maintenance fee as well as the fee for advanced support services, software updates, and upgrades. Getting started with a cloud LMS can be inexpensive but has a higher total cost of ownership in the long run. Setting up your own LMS costs significantly more but is more cost-effective in the long-run. Knowing your budget is only half of the equation, you also need to make sure that you’re paying for the right features as no pricing model is necessarily any better than any other. Do you want your LMS to grow with your organization? It’s essential that you evaluate your current LMS needs, but your LMS must also be ready to fit your future requirements. If you have plans to expand your organization shortly, select an LMS that can scale based on your company’s needs. Moreover, if you don’t have any plans to scale for the next few years, you can just focus on your current needs. If you select a cloud-based LMS, you’ll be able to add as many users because it can adapt surges smoothly, and your vendor would bear the brunt of bandwidth issues as well as IT troubleshooting. However, if you’ll select locally installed LMS, increased users may burden your bandwidth and storage space. The most significant benefit of cloud LMS is that it allows limitless scalability. Is your organization concerned about security and disaster recovery? One of the most important factor while selecting an LMS is security. Mostly all LMSs are secure but not all offer disaster recovery. Many organizations use self-hosted LMS because of their security policies, which does not allow them to keep their data over the cloud. They think that only self-hosted LMS are secure, but they are wrong. It’s a myth that data present over cloud can easily be stolen or even lost. The time has changed now. Cloud LMSs are no longer insecure. The data in cloud LMS is encrypted and handled by vendors. You need not worry about information being stolen or lost. Self-hosted LMSs are also secure, but you’ll need a technical team who’ll be responsible for security, backup, and recovery of the system. Which browser and device support will you need from your LMS? It will depend on your organizational needs. If your organization is small, it would be easy for you to know the support needed and you can comfortably match the vendor that offers the support. However, if your organization is big, you’ll have to list down the range of browsers and devices for which you require assistance. You just can’t assume that all vendors provide support for the complete range that you need. In the past, organizations used to have corporate desktops with the same browser installed for all the employees. This made it easy to find the best supporting LMS. However, today, employees work on different devices like desktop, tablet or smartphone and use different browsers. So, the LMS you select must be able to run on browsers other than the one installed on PCs or laptops issued to employees. In simple words, it must offer the flexibility of working from various devices. Also, if you have plans to deliver your program to the external user also like partners, suppliers, and customers, it would be wise to choose a cloud LMS. It offers a compatible solution that supports the extensive range of browsers and devices. Whether the LMS is flexible enough to be integrated with other softwares? Even if you don’t have any integration or customization requirements now, you may need them later. You must not see your LMS in isolation but look forward to integrating it with other applications and systems used in your organization. This would make it easy to seamlessly add users to the LMS, track employee performance and store their records for future reference. Integration ability will help you deliver exceptional user experience and better reports. If you need more advanced customization options, explore the range of services offered by LMS vendors. Integration is one of the key factors in choosing between a self-hosted or cloud LMS. So, make sure you have the technical resources for accessing the features that you select. How do you expect to access your training reports? The answer to this question will depend upon how advanced reporting you need. A cloud-based LMS suits most reporting needs. However, the quality of reporting will vary between vendors. While making the final selection, you must consider the range of report filtering and export options you need. If your organization have a data specialist, then you’ll need broad access to reporting than what most vendors would offer. You may also need the reports to be integrated with data from other applications like finance system or CRM. If your organization require such advanced level of reporting, look for a vendor that offers extensive reporting options. 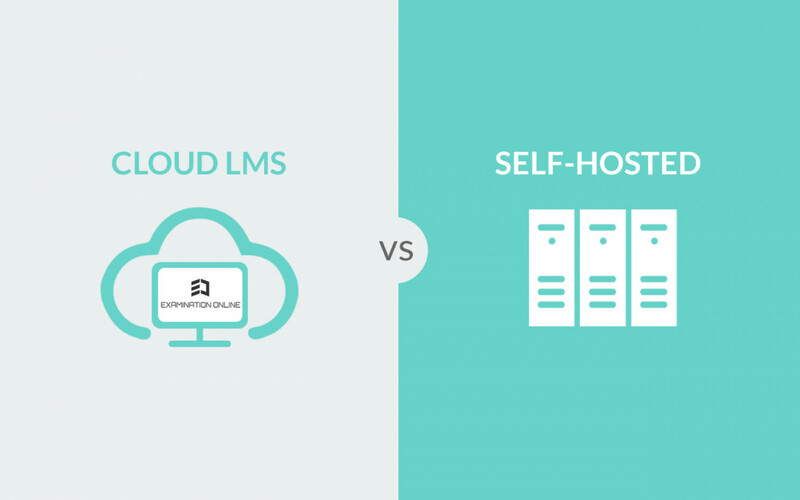 Which LMS must I select: Self-Hosted or Cloud LMS? Only you would know which LMS is best for your organization. The LMS may not be the most popular one, but it doesn’t matter. What you must worry about is your organizational needs. Once you have answered the above questions, you’ll have a fair idea of what LMS will suit your organization. However, in case, if you are not sure about making the right choice, don’t hesitate to contact us at Examinationonline.com. We offer customized learning platforms that grow with you.